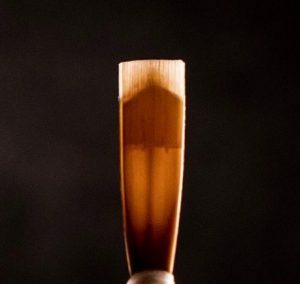 Oboe reeds are not one-size-fits-all. Oboists have varying facial structures, embouchures, and preferences in feel and tone that can make finding the right reed a challenge. 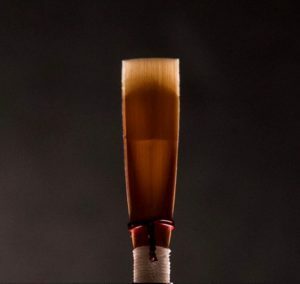 MKL is unique in its ability to address your individual needs by having a variety of reeds offered, matching the right reed to your playing, and having those particular reeds available when you need them. It’s all about the dots! Now comes the fun part! Discover how each reed feels, sounds, and responds to your particular setup– your embouchure, your airflow, and your instrument. 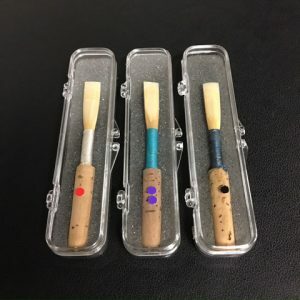 After finding a favorite, you can request reeds from that particular maker in future orders, so you are certain to get consistent reeds made by the same person. So if the red dot reed was the best fit to your playing, you can specify that you would like red dot reeds under ‘Special Instructions’ on the shipping page of the order. I receive monthly batches from each reed maker, so they are readily available on a predictable basis. 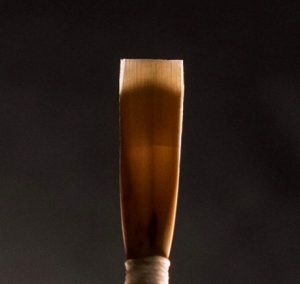 This MKL dot system gives oboists a one-stop shop for superb handmade reeds. 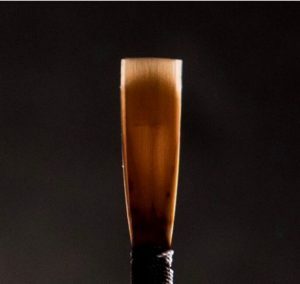 Whether you’re a seasoned professional, an adult amateur, a college student, or a budding oboist of any age, MKL Reeds is dedicated to meeting your reed needs with utmost quality, care, and customer service. All English horn reeds are handmade from start to finish by Laura Covey.